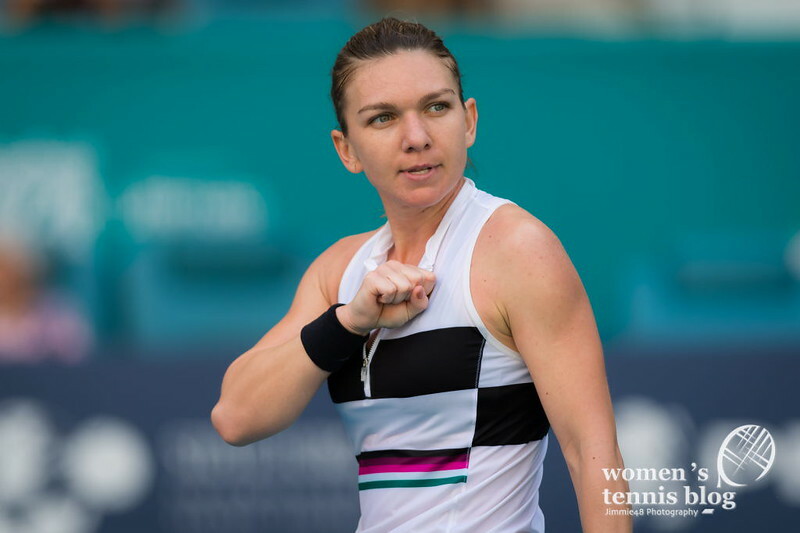 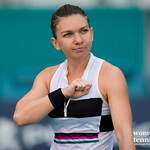 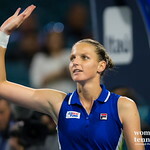 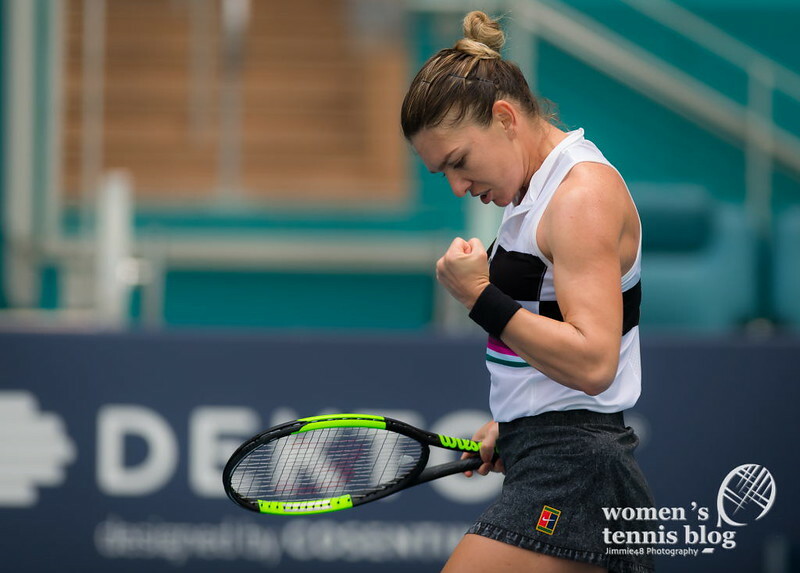 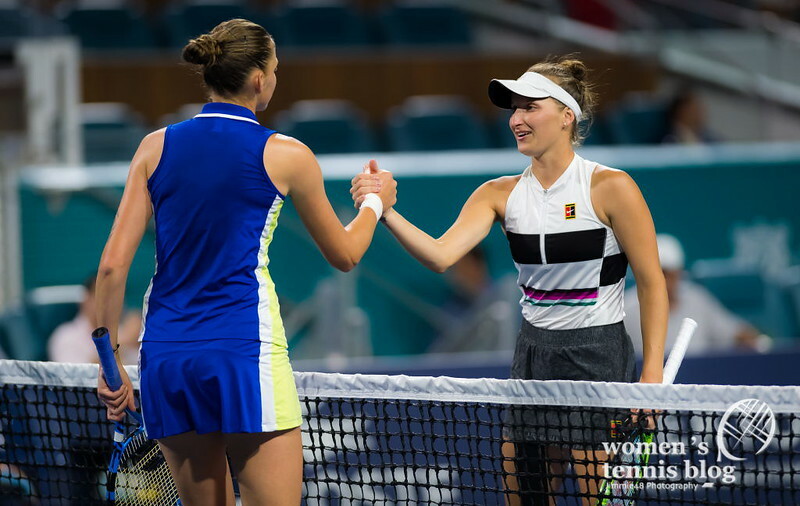 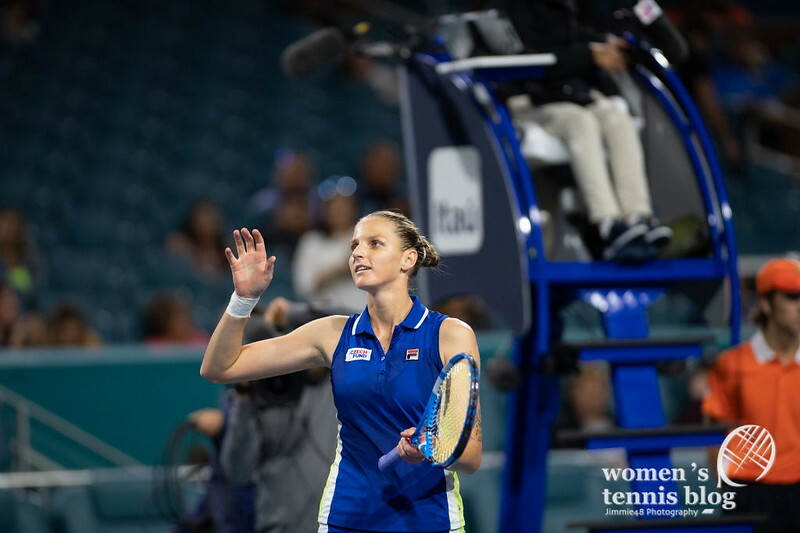 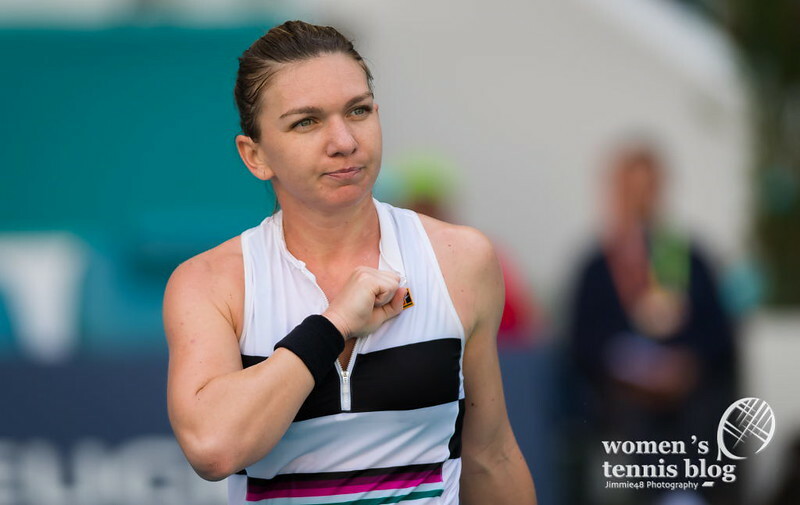 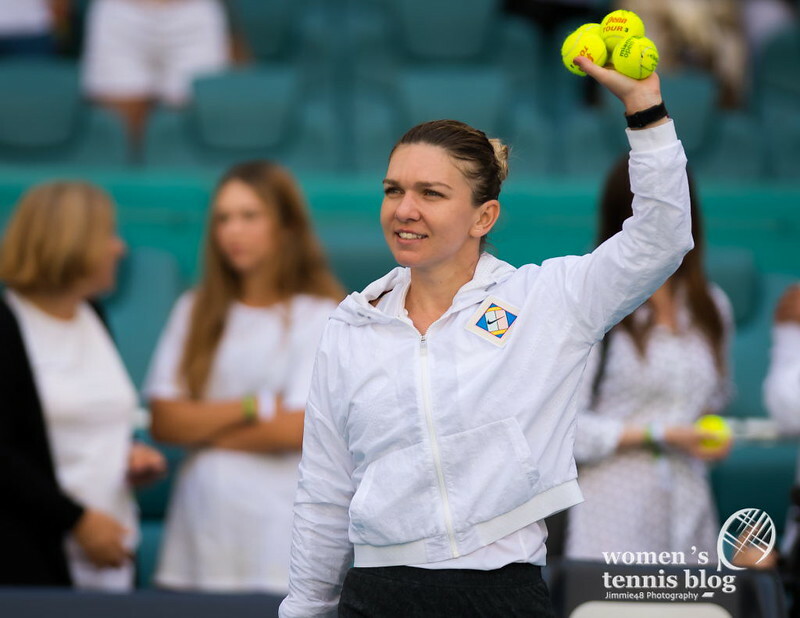 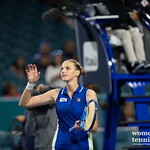 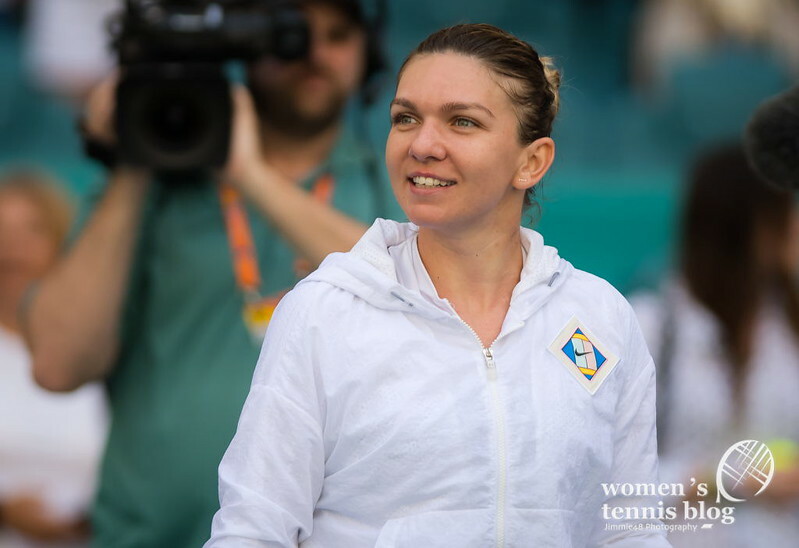 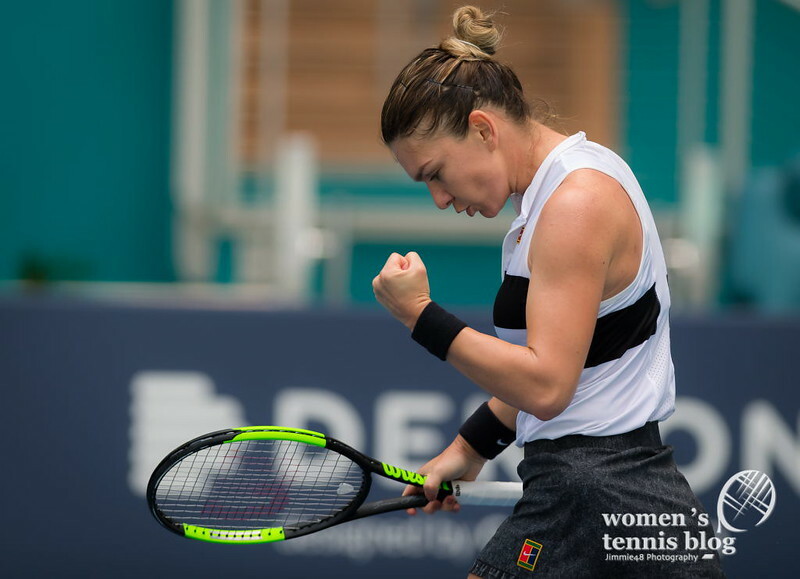 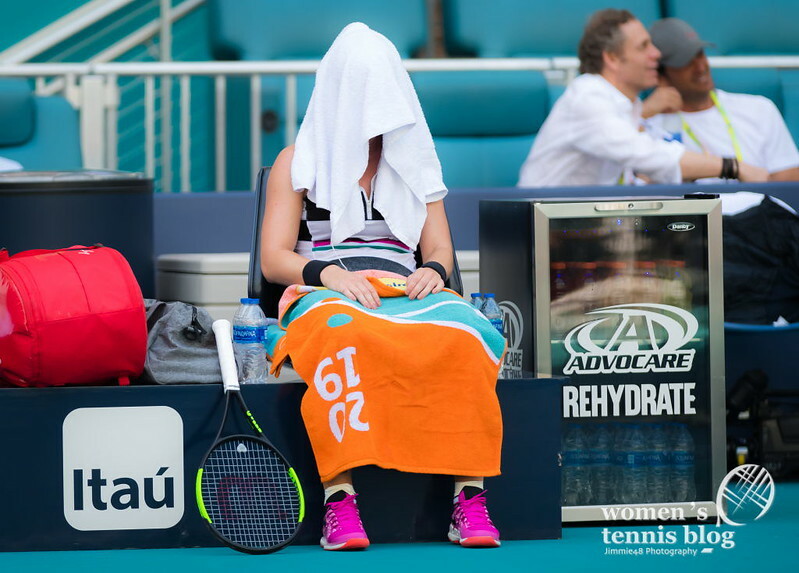 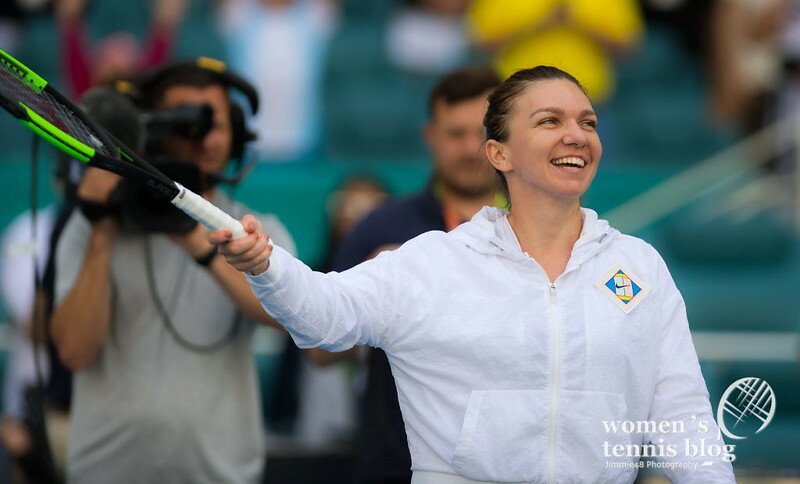 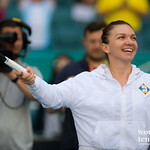 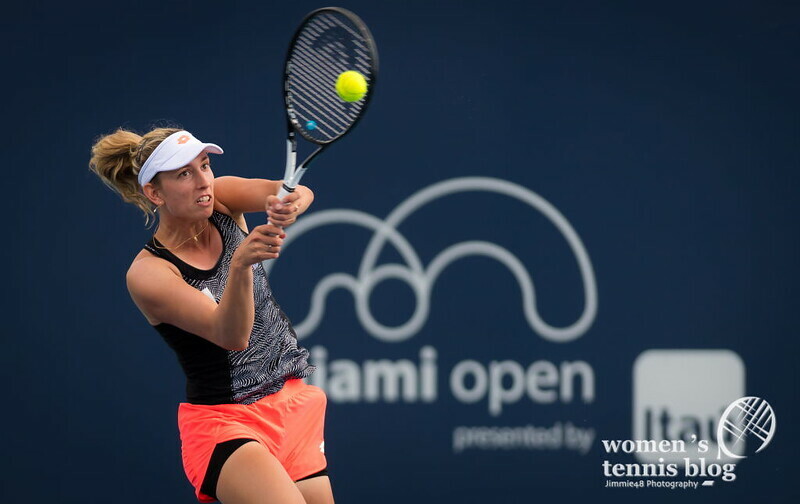 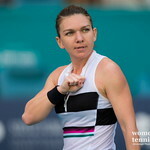 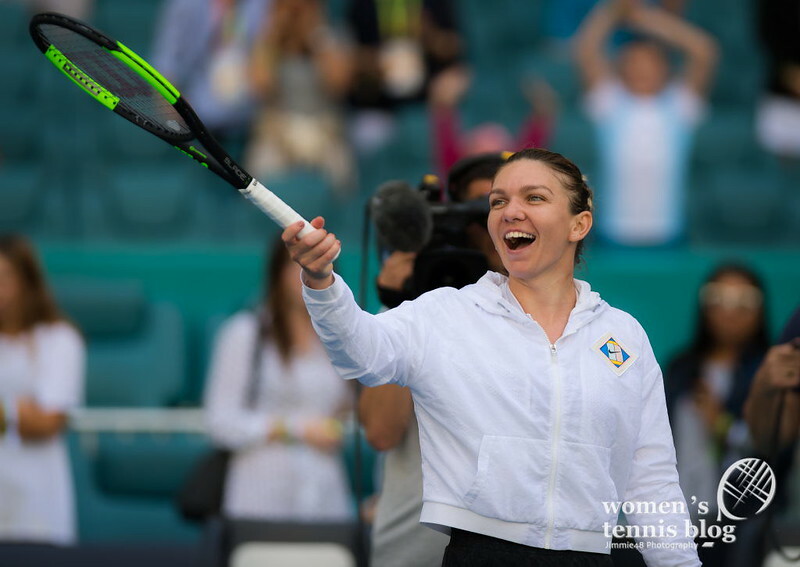 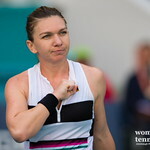 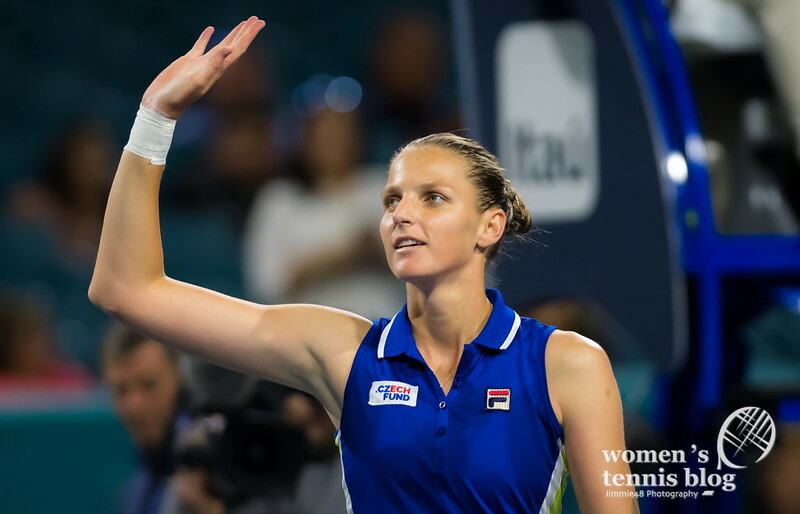 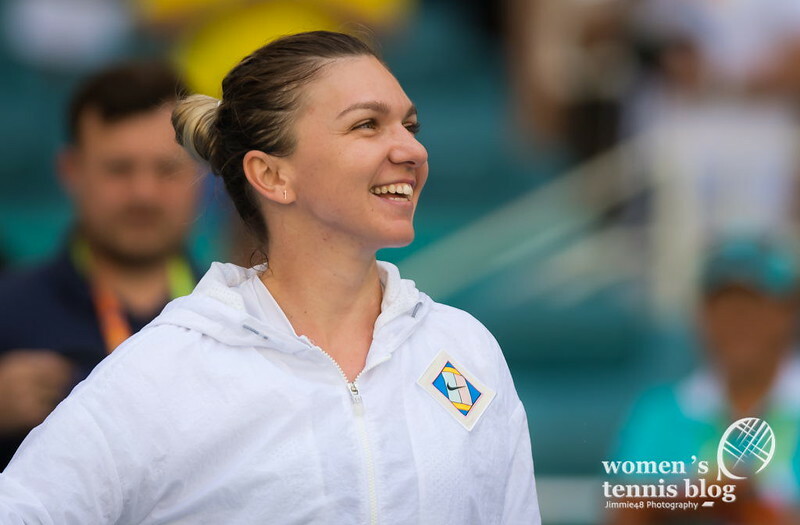 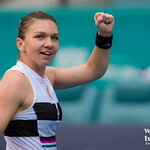 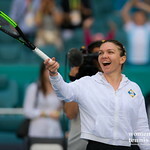 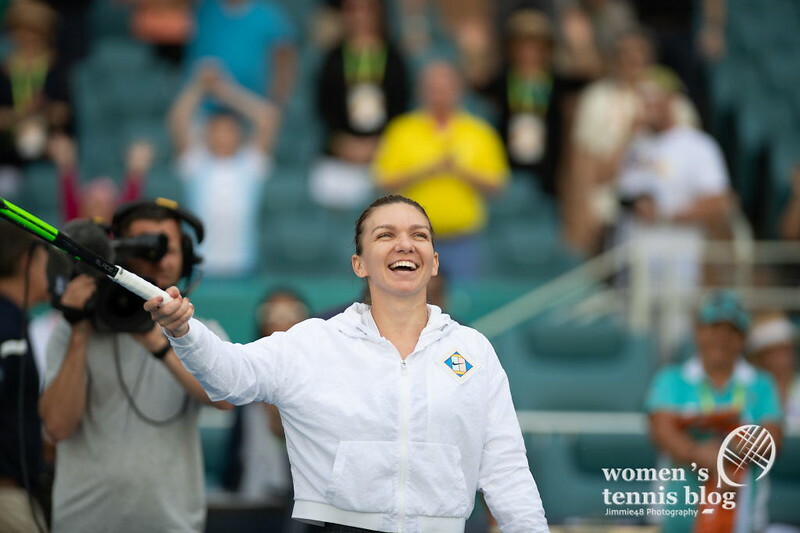 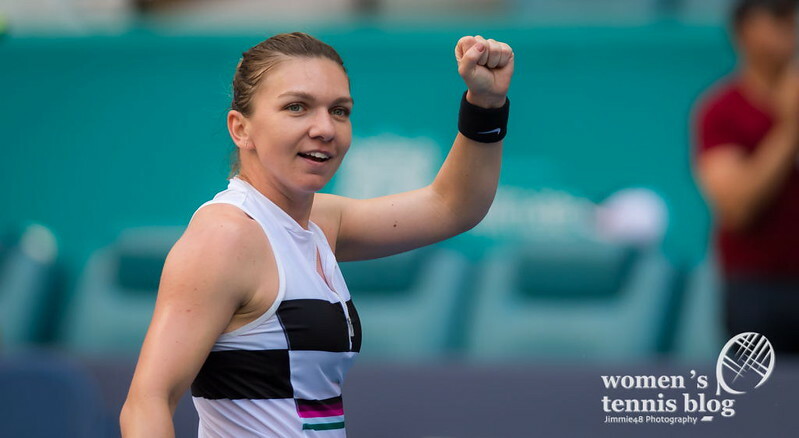 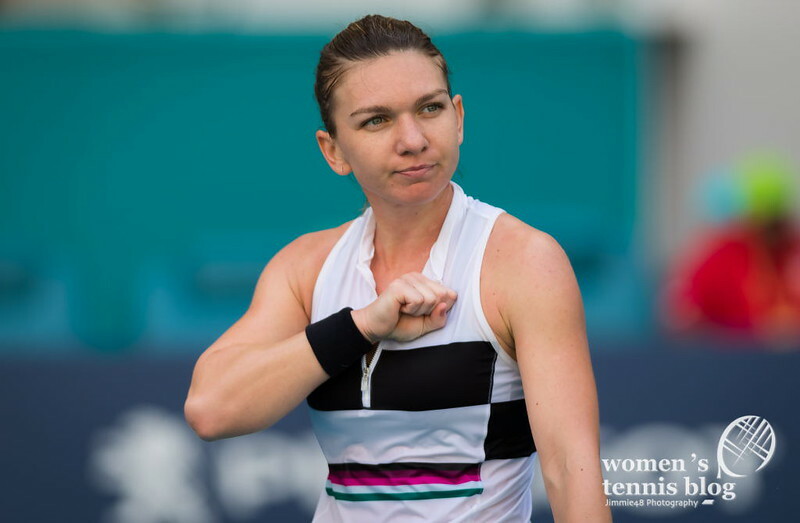 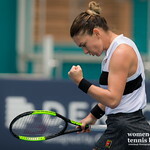 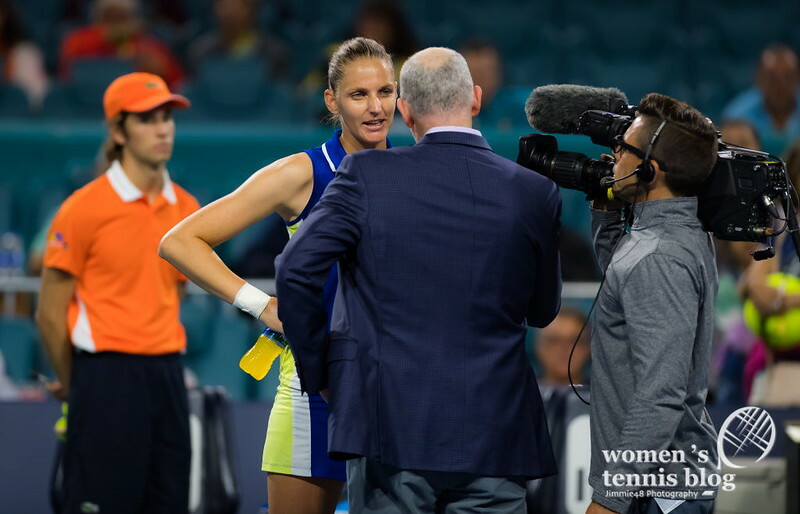 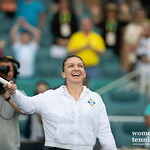 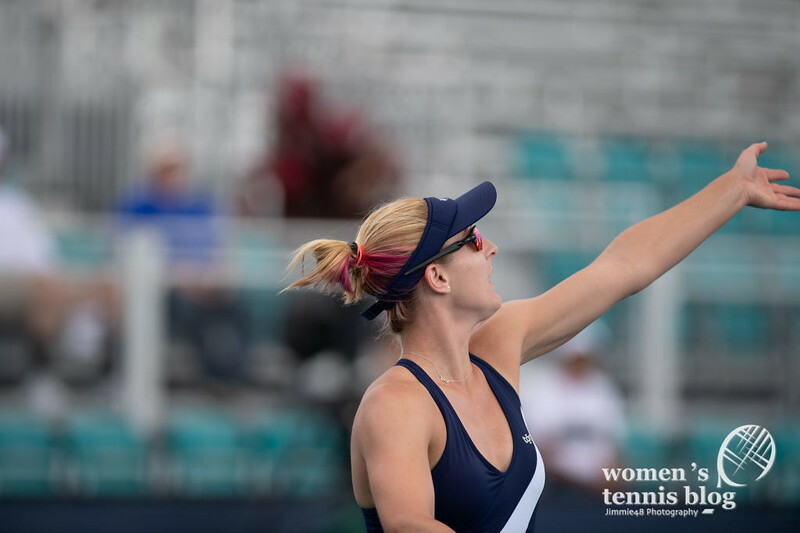 Simona Halep is now just one match away from reclaiming the WTA world No.1 ranking and that one obstacle will be Karolina Pliskova in the Miami Open semifinals. 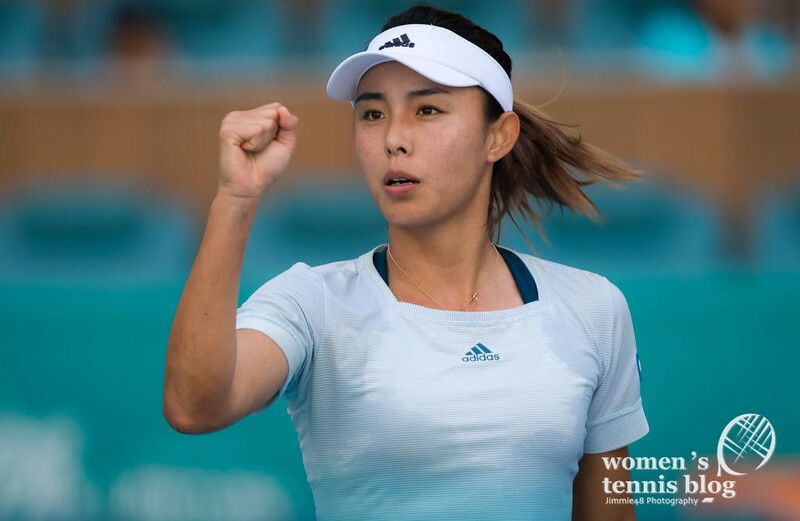 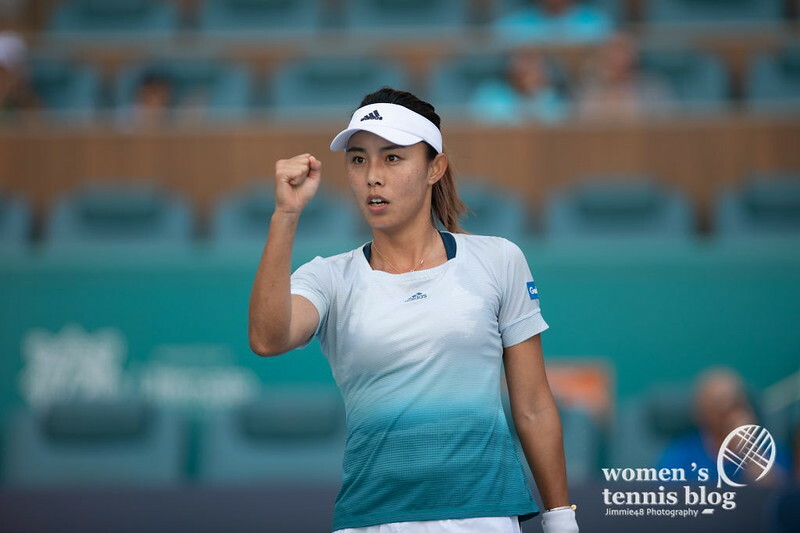 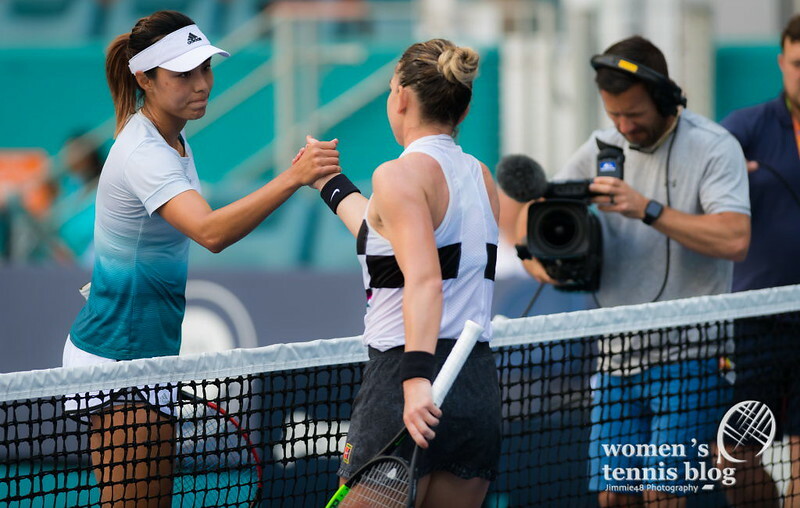 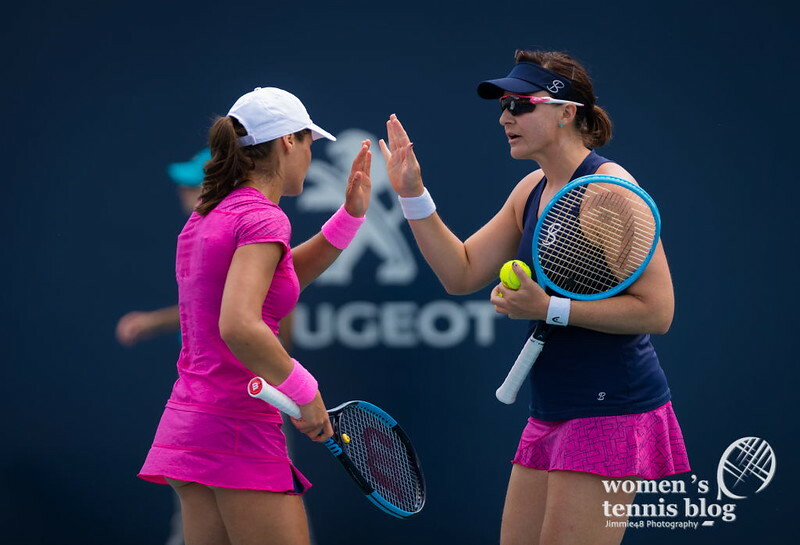 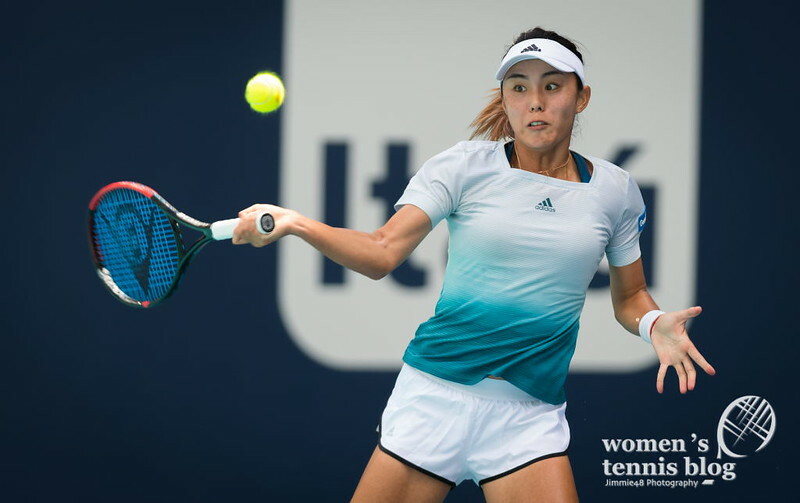 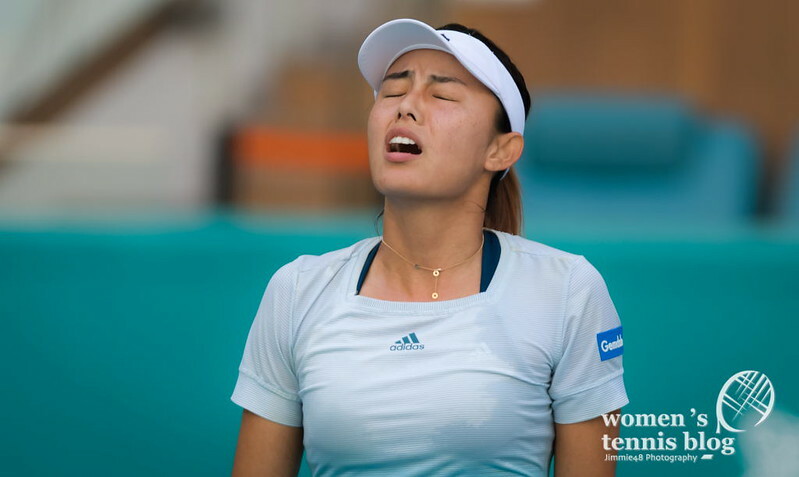 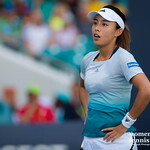 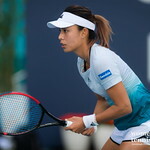 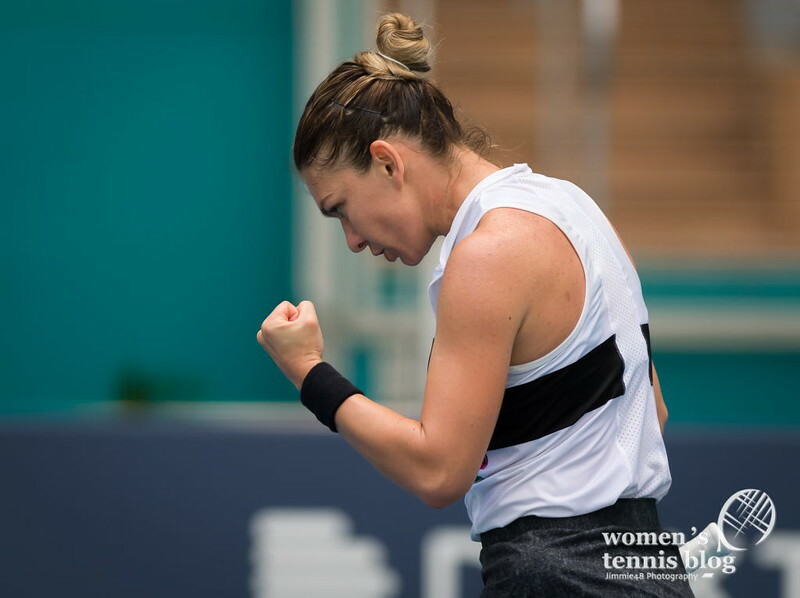 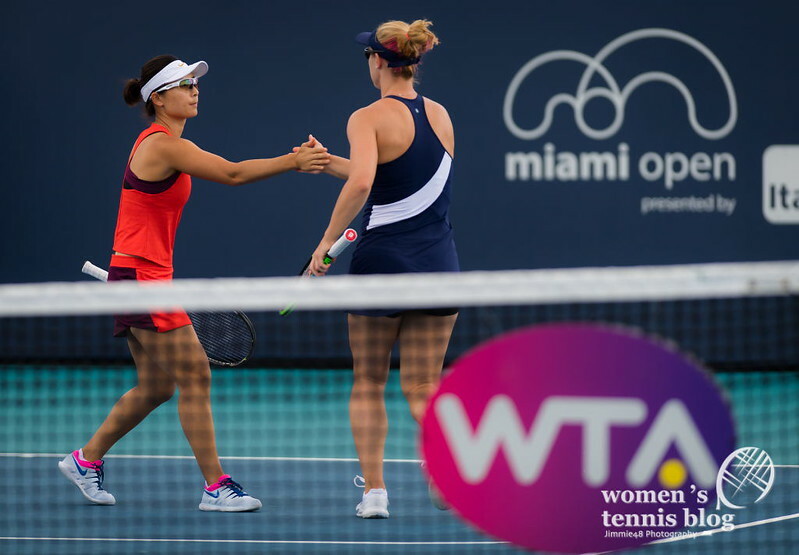 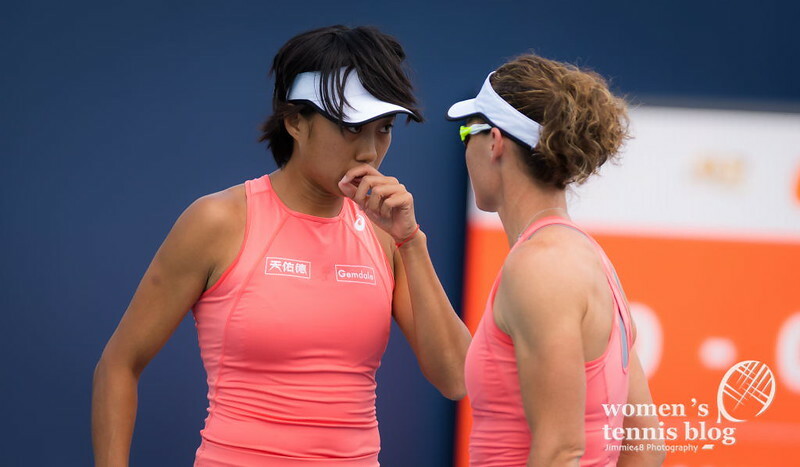 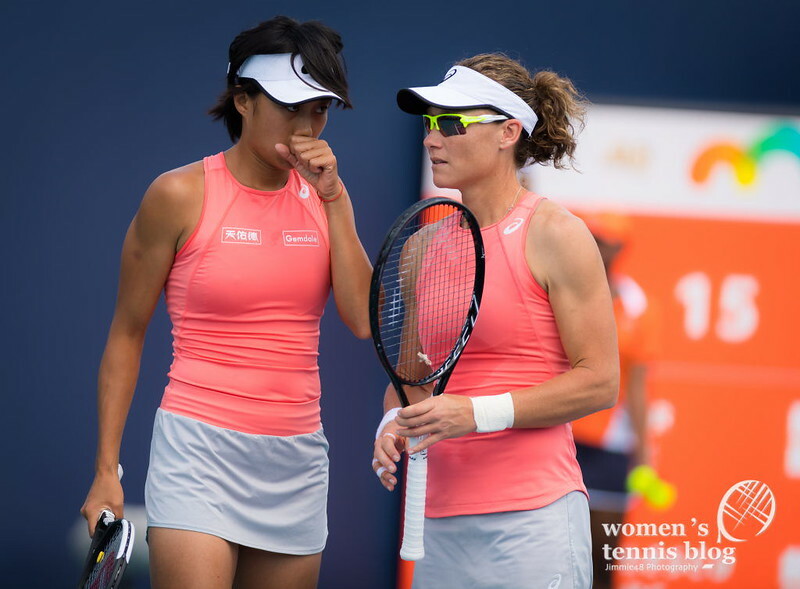 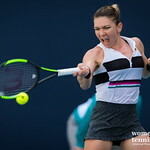 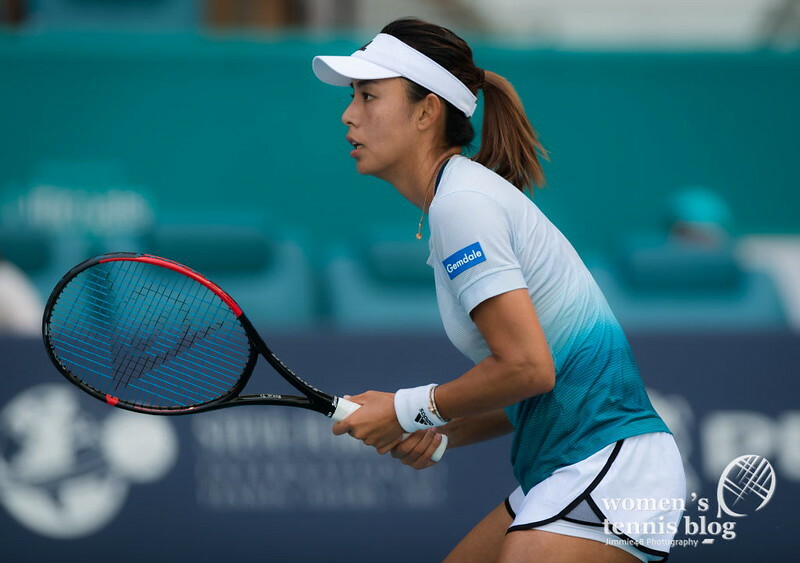 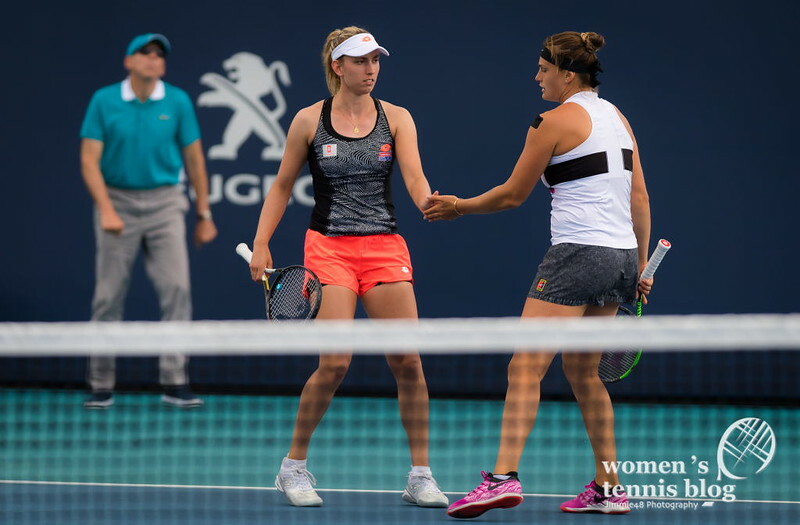 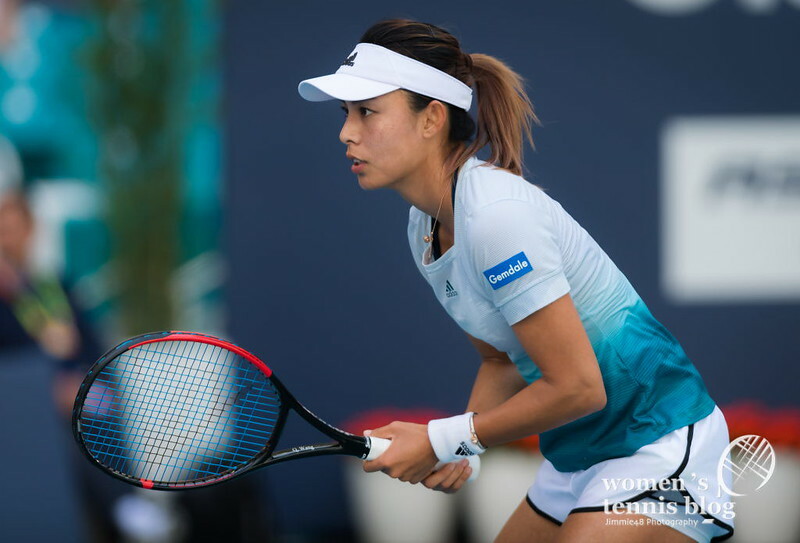 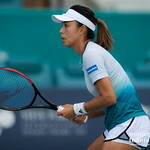 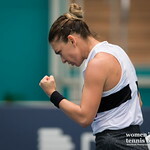 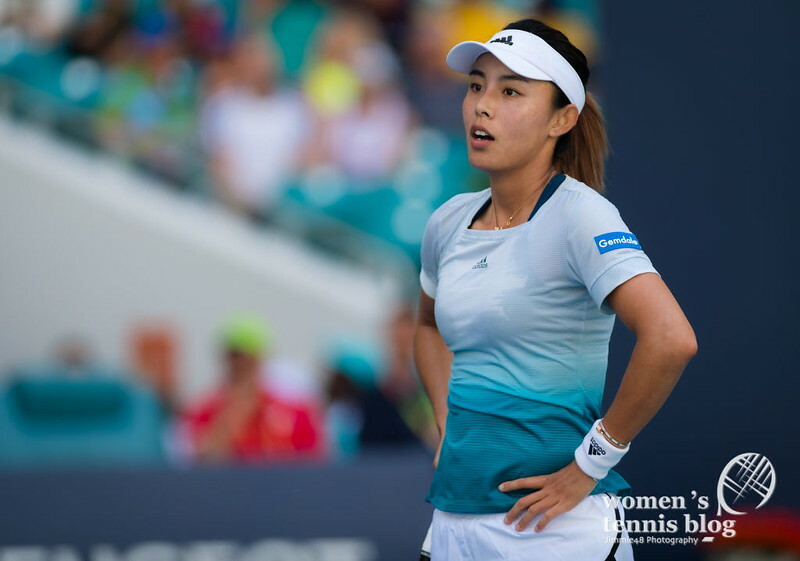 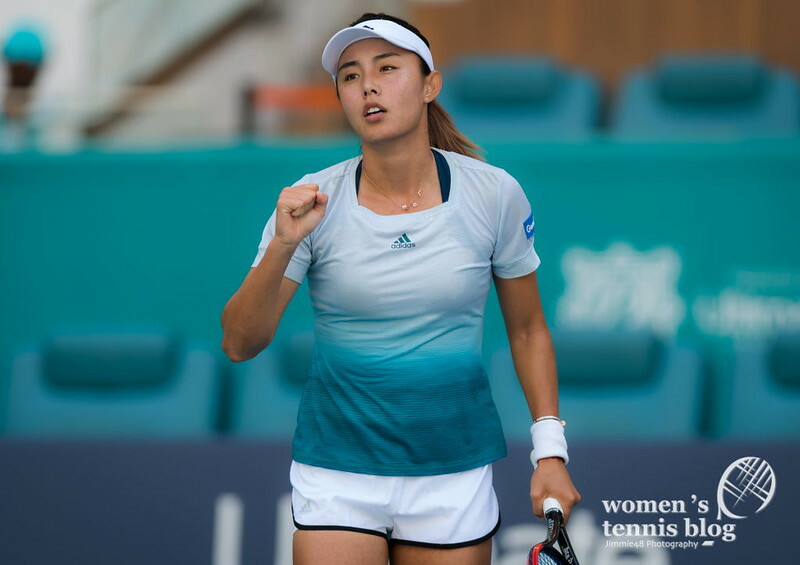 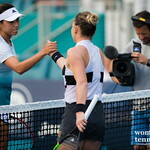 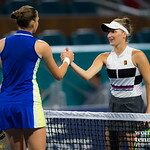 The second-seeded Halep won six consecutive games from 1-5 in the second set to overcome China’s Wang Qiang 6-4 7-5 and make the final four at the Premier Mandatory tournament. 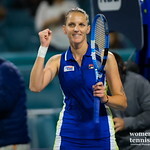 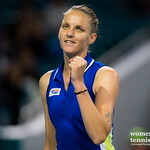 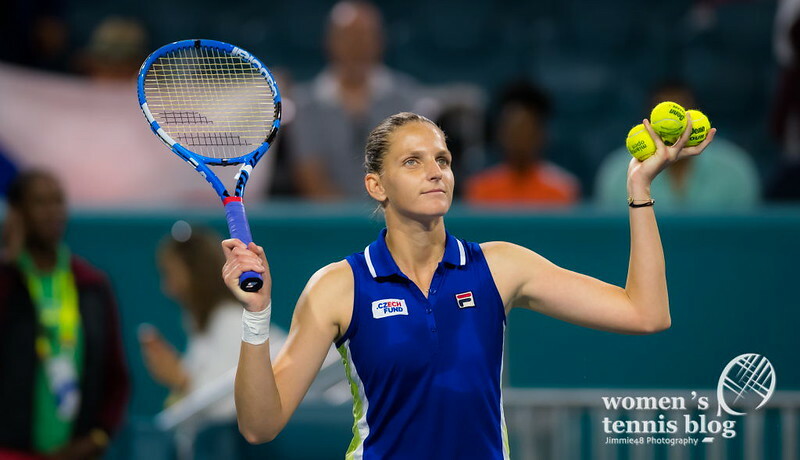 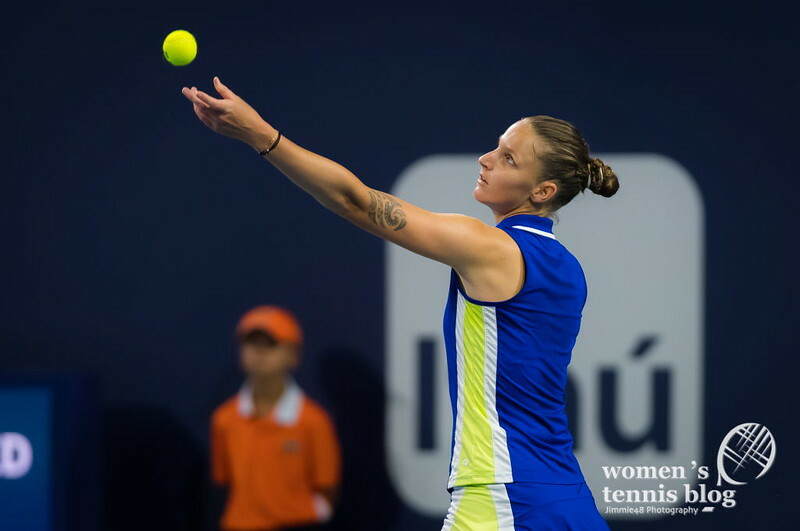 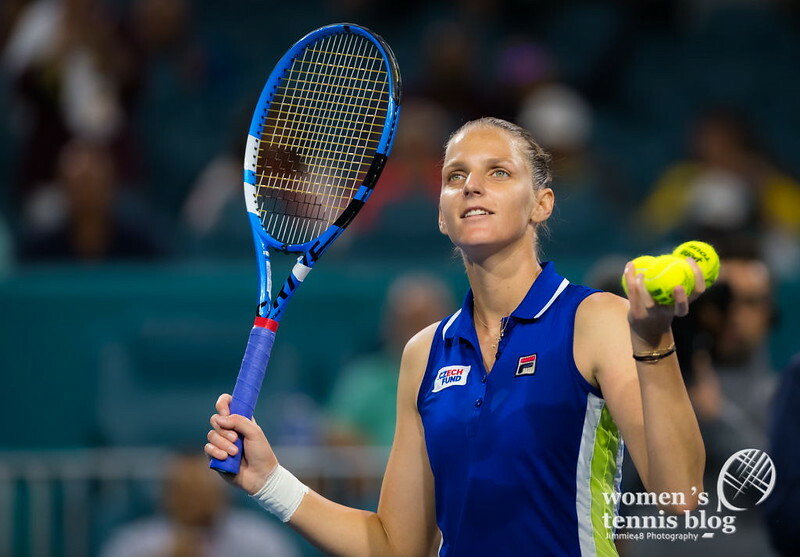 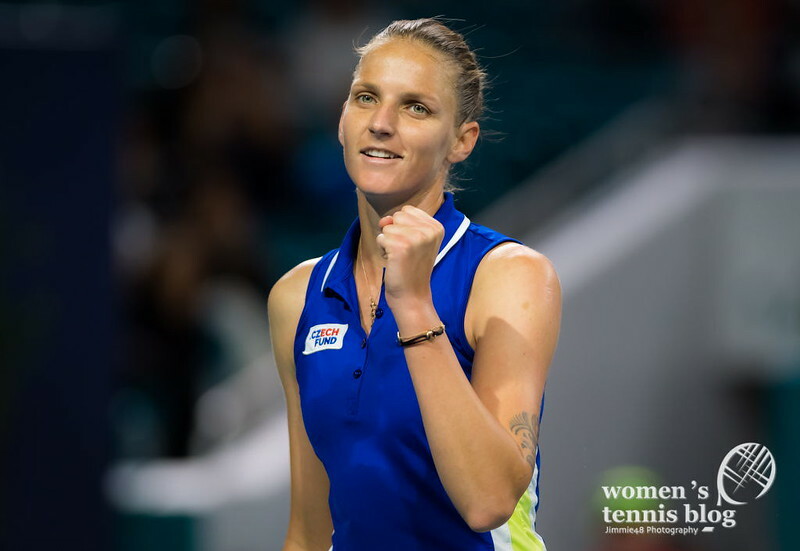 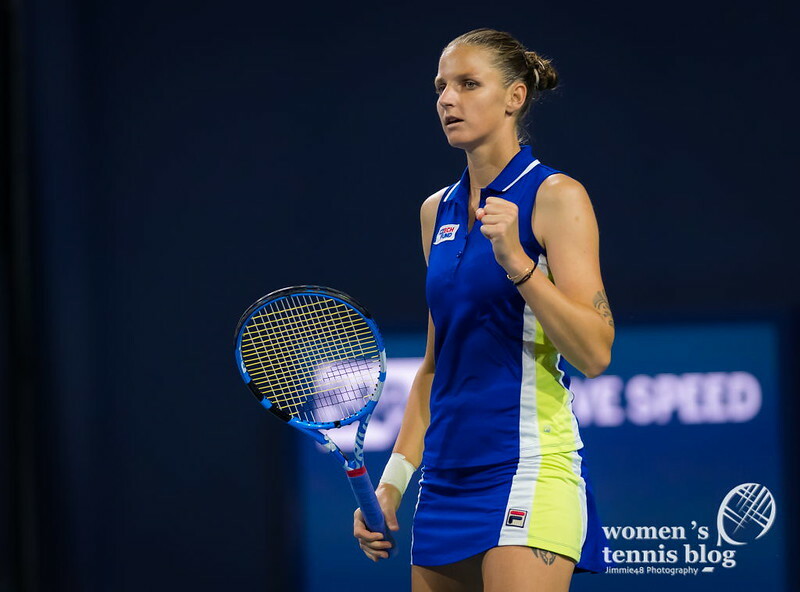 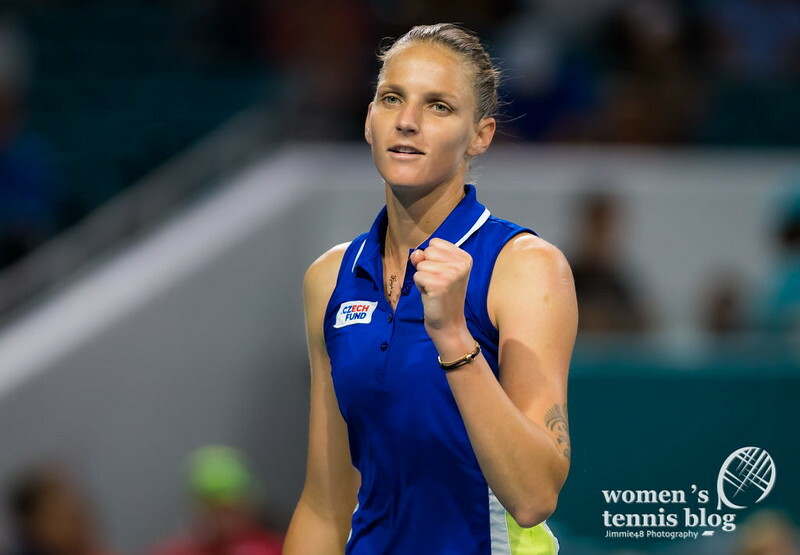 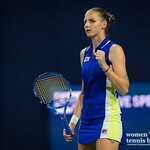 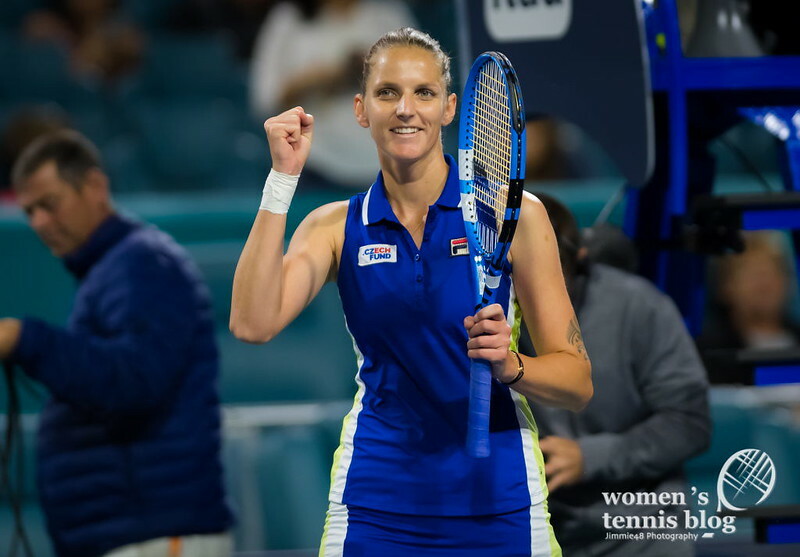 Czech Pliskova, seeded fifth, advanced by beating compatriot Marketa Vondrousova 6-3 6-4. 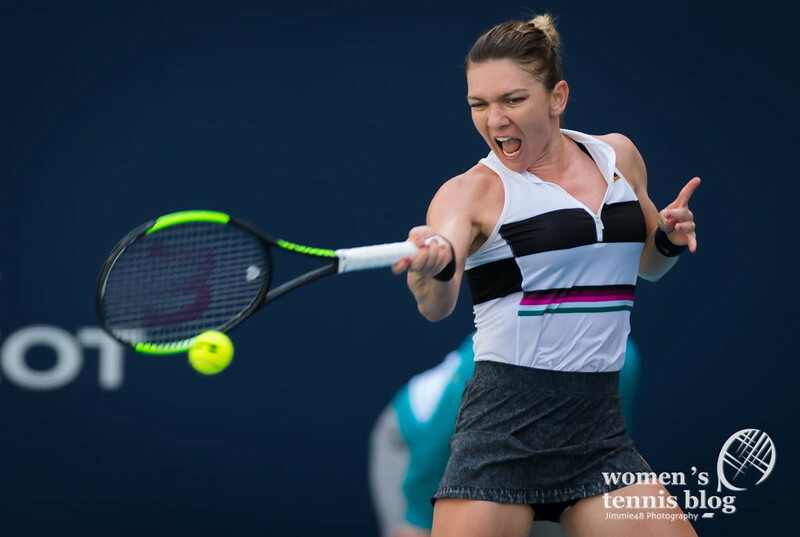 Judging by the stats, Halep has a good chance to beat Pliskova, as she leads their head-to-head 7-2, being 6-1 on hard courts. 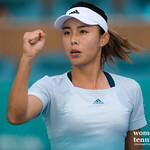 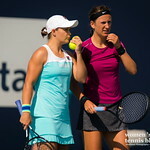 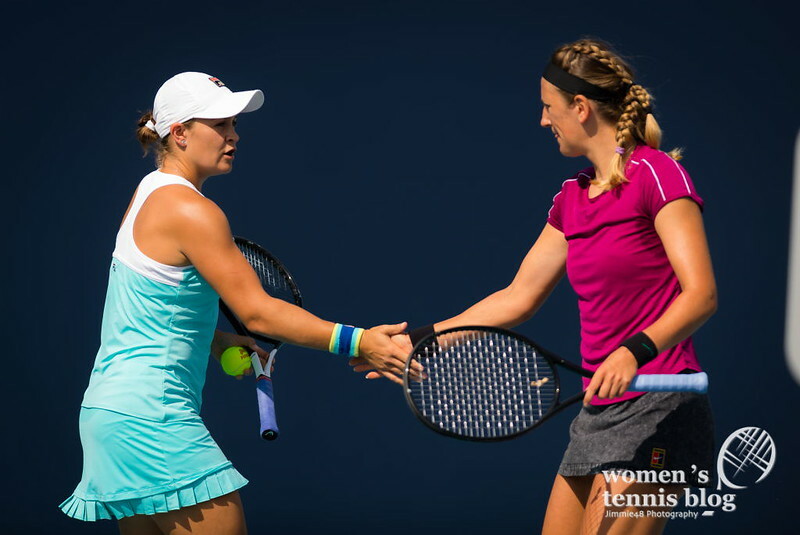 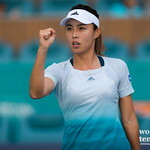 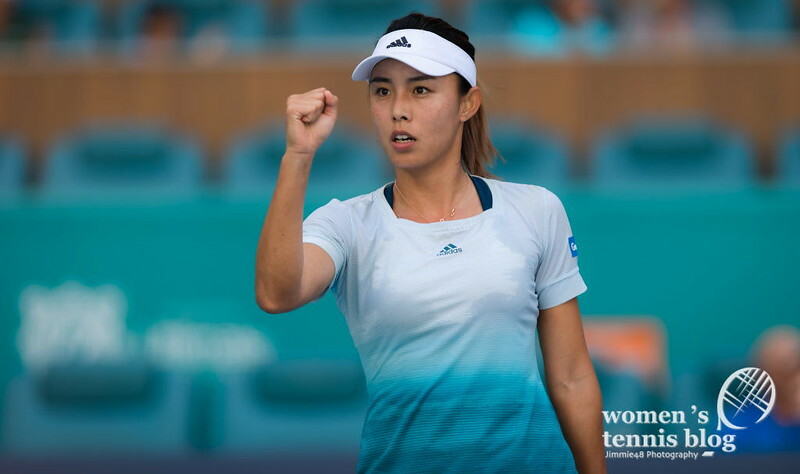 The other semifinal will be contested between Estonia’s Anett Kontaveit and Australia’s Ashleigh Barty. 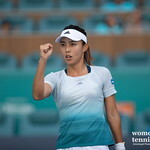 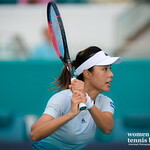 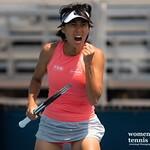 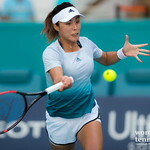 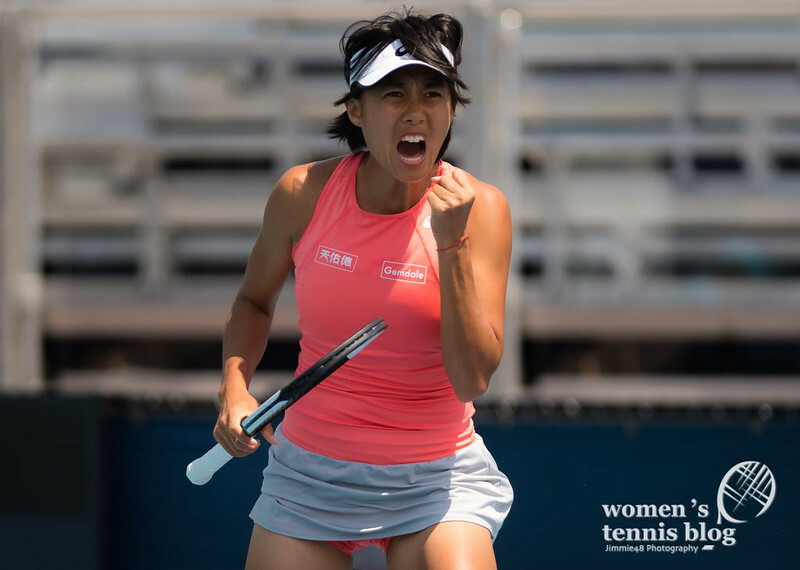 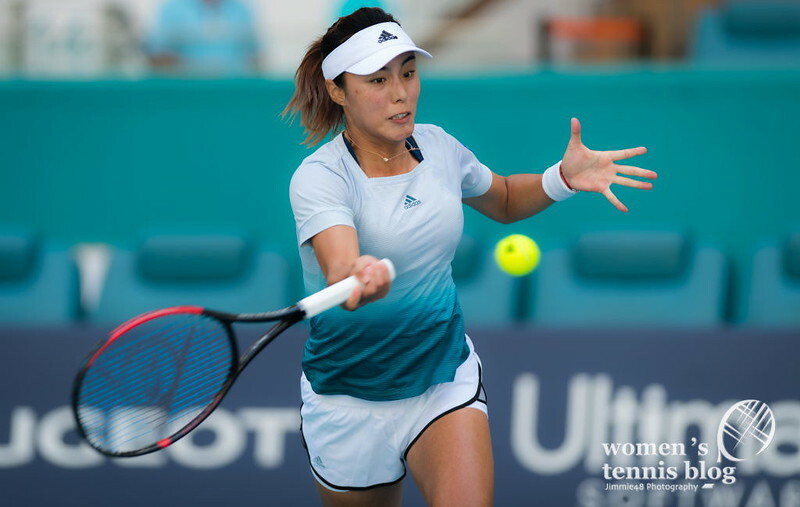 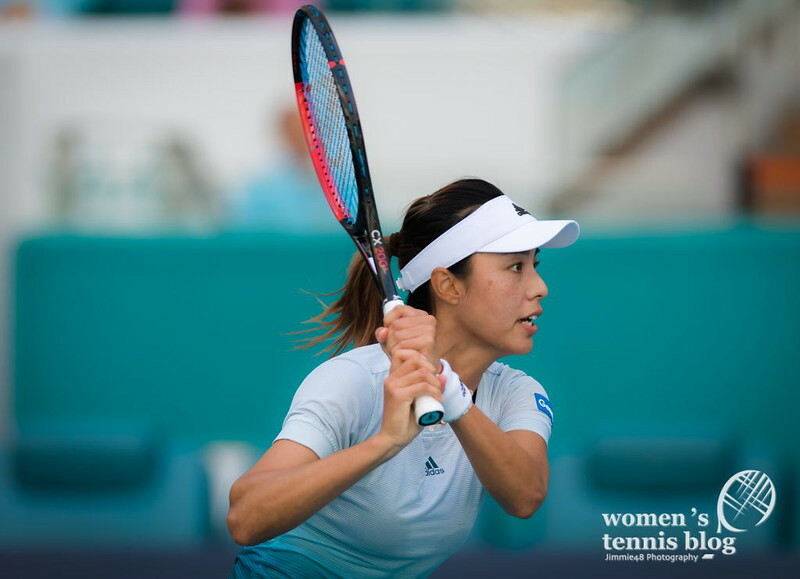 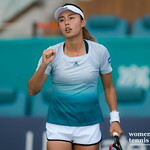 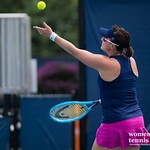 Our Jimmie48 photographed all the semifinals and all three doubles quarterfinals that took place on Wednesday. 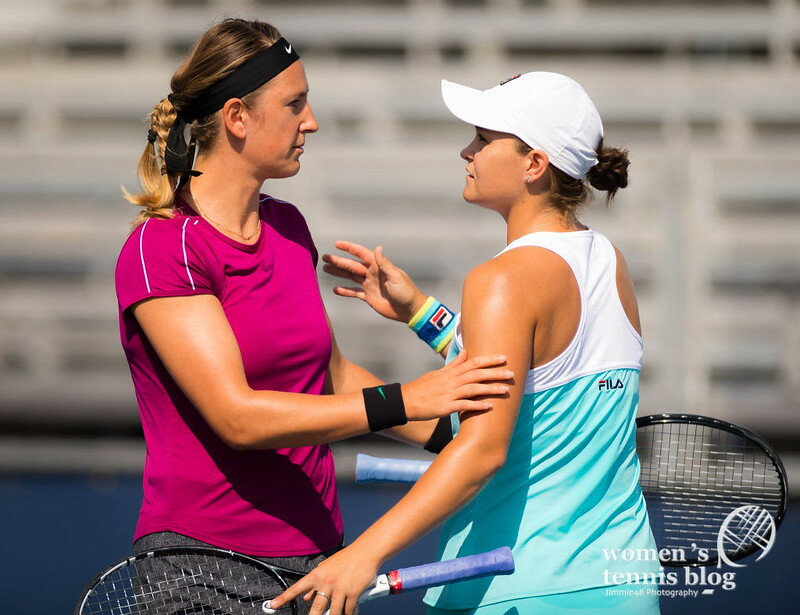 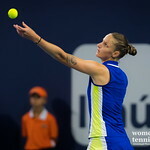 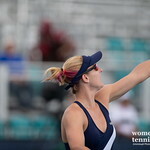 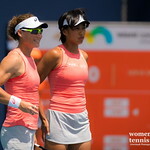 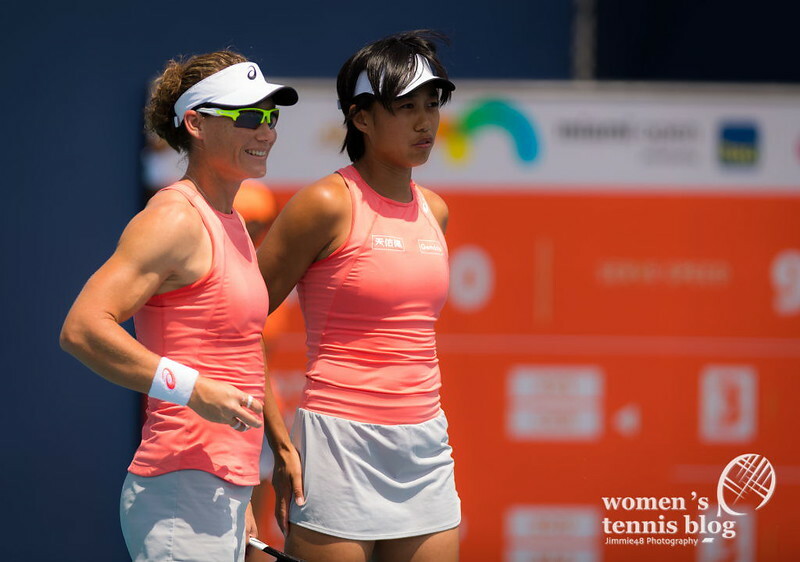 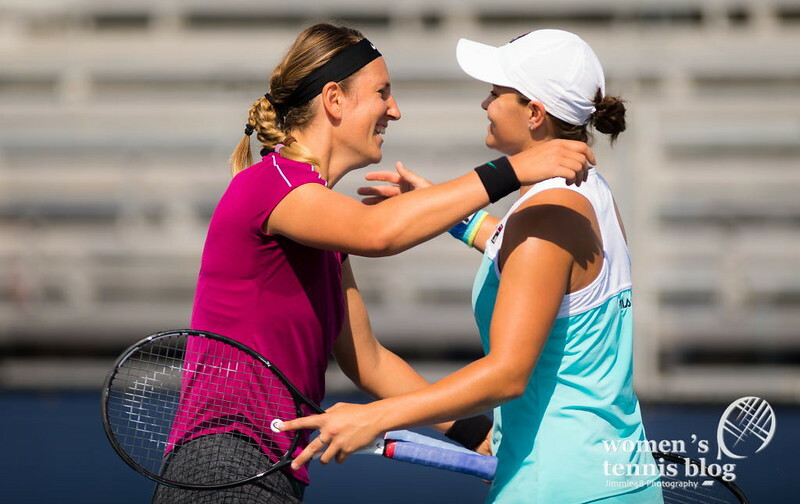 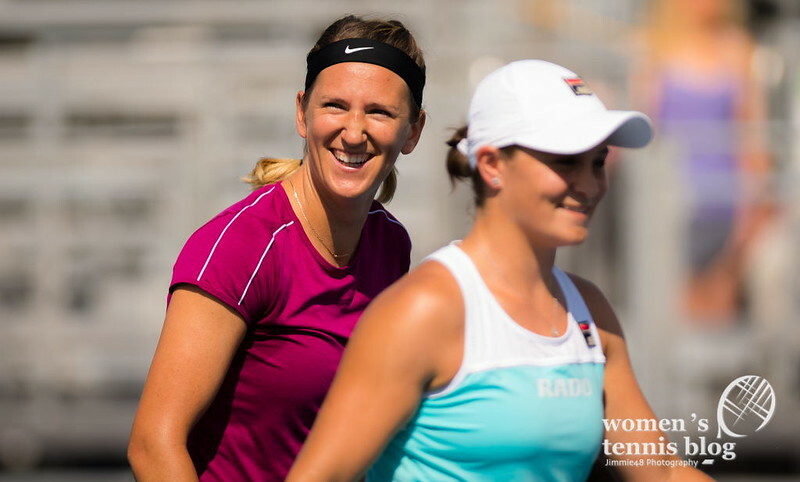 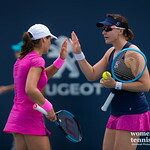 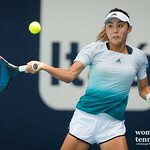 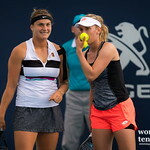 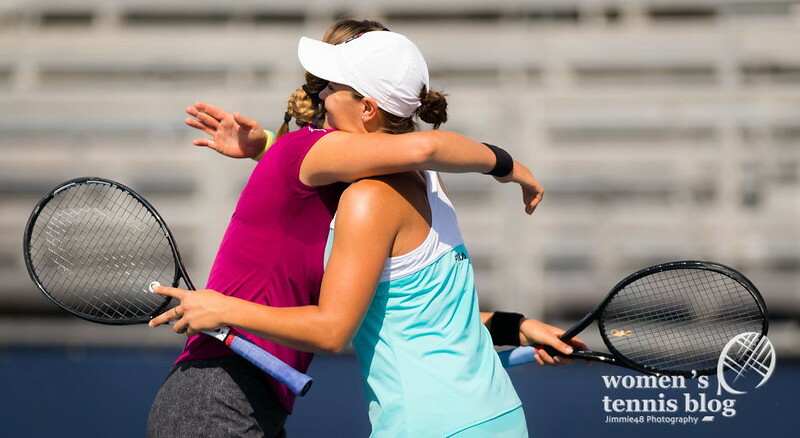 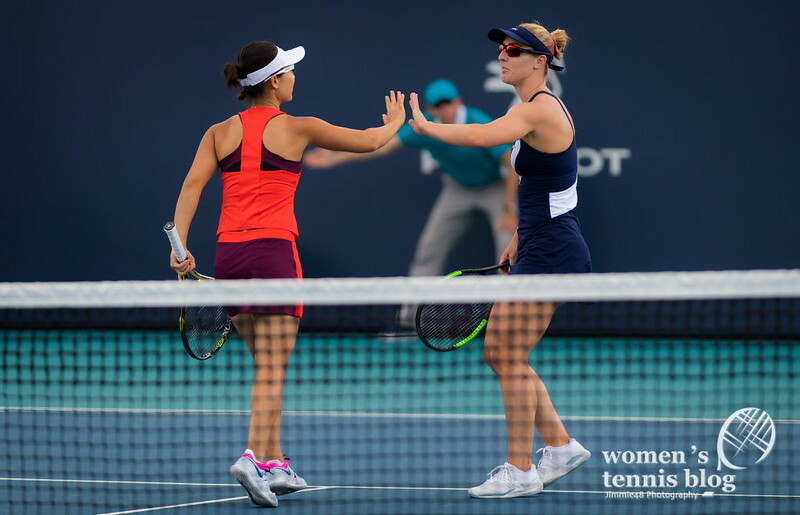 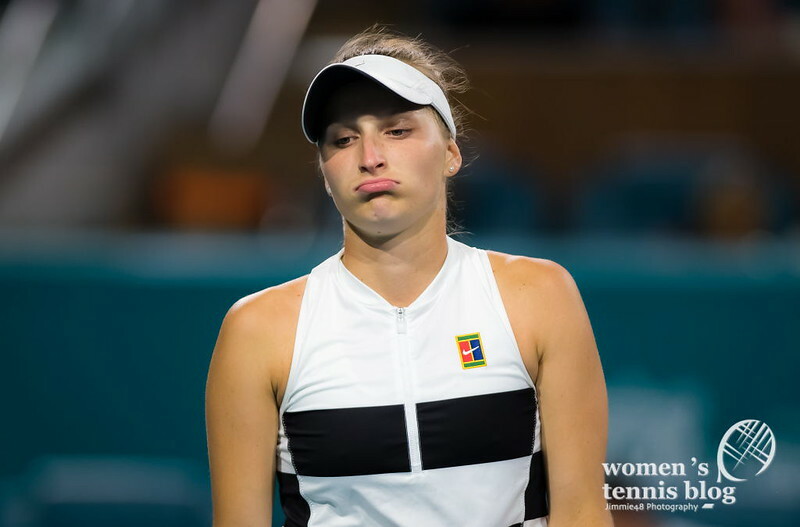 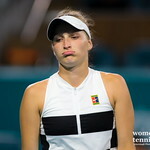 Notice that Ashleigh Barty, who will be a new Top 10 member when the new rankings are released on Monday, is through to the semifinals in both singles and doubles. 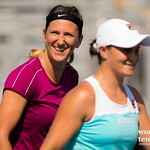 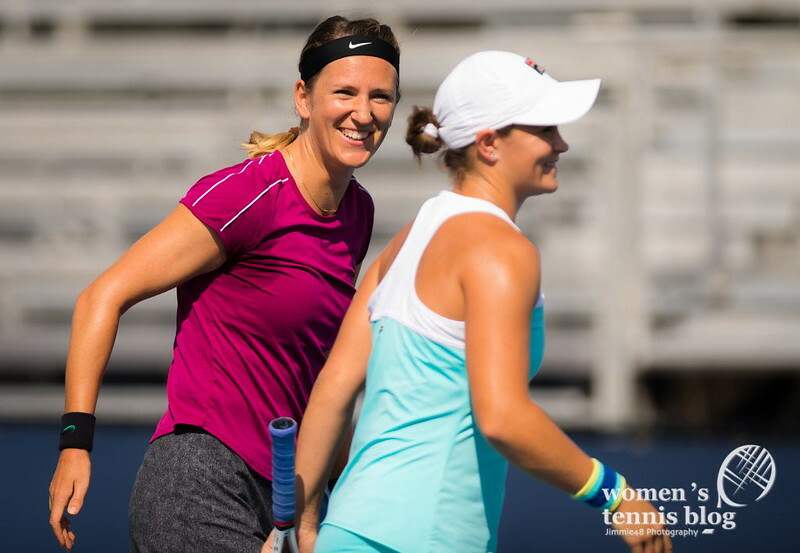 In doubles she’s teamed up with Victoria Azarenka.